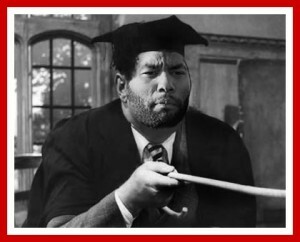 Football Burp‘s very own Jermaine Pedant enjoys nothing more than strolling back and forth in his professor’s gown, casting scholarly gazes over his fellow professionals’ online scribblings. Jermaine Pedant says… I feel that this tweet reflects your performance, Demba. On the one hand you applied yourself admirably in the lone striker role in difficult circumstances, which on a diametric basis I would twin with your correct deployment of ‘would have’ rather than the incorrect and all-too-prevalent ‘would of’. On the other hand you scored an own-goal that denied your club all three points and local bragging rights, which I shall equate to your spoiling of what looked to be a perfectly formed perfect infinitive construction by adding to it a present participle, in this case ‘taking’. You should have taken more care over that one, Demba! Jermaine Pedant says… Welcome back to the fold, Tim, but I should warn you against channelling all of your spirit into your on-pitch performances when you clearly have much to learn about pluralising in this admittedly frequently irregular tongue of ours. Furthermore, abbreviating ‘minutes’ to ‘mins’ is permissible within such an informal framework as Twitter, but if I ever catch it going on in my classroom then woe betide the offending party or parties. Jermaine Pedant says… It’s spelt Pienaar. Please accept my apologies if you were in fact making a surrealist reference to the Indian cheese paneer, albeit you’d still have spelled it wrong. Yes, ‘spelt’ and ‘spelled’ are both permissible as the past participle of ‘spell’ in Her Majesty’s noble tongue, although our American friends would know spelt only as an hexaploid species of wheat. Incidentally, this is only the seventh time in my life that I’ve used the word ‘hexaploid’ (ninth if you include games of Scrabble). Tough game good point-game were we need back 4 to be at there best-and they were-was it a sending off-should we of had a pen-thats football! Jermaine Pedant says… Congratulations, young Serge, but I am most puzzled by ‘doe’. Is it an acronym presented incorrectly in lower case? Duke of Edinburgh, perhaps? Granted the context by the preceding words “still sad about result (sic)”, my guess is that ‘doe’ stands for ‘despite own elation’. Chortle! That’s just my wicked sense of humour shining through again. In all seriousness: see me. Jermaine Pedant says… Is B Arca related to Julio Arca? As I write this, Neil, your side is 1-0 up at the Camp Nou. I trust that the concomitant expedition shall grant you plenty of opportunities to properly acquaint yourself with the name of this world famous club. Now I must take my leave, for my resolve to cement a first team place at Wolverhampton Wanderers consumes me almost as much as my insatiable thirst for knowledge. Class dismissed!